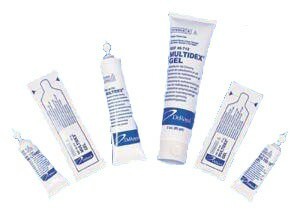 MULTIDEX Wound Dressings are available in powder for moist and wet wounds (MULTIDEX Powder) and as a gel for dry and nominal draining wounds (MULTIDEX Gel). 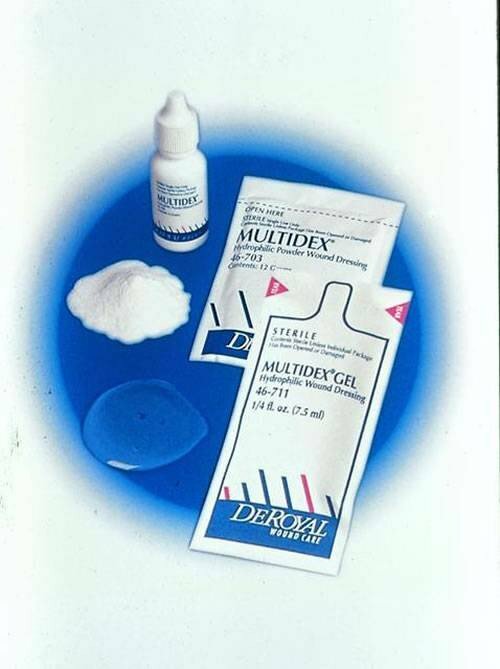 MULTIDEX is a hydrophilic Maltodextrin NF wound dressing manufactured by DeRoyal to promote the growth of granulation tissue and epithelial proliferation. 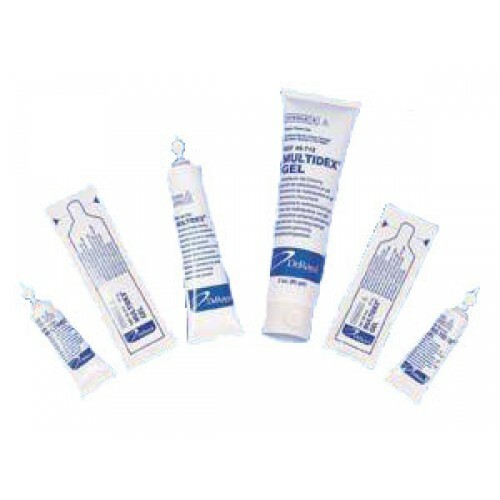 MULTIDEX Powder or MULTIDEX Gel quickly fills the wound site, mixing with exudate to form a protective coating to maintain a proper moisture balance and to protect the wound area from dehydration. MULTIDEX may be used as a primary dressing. Use on all wound types, including infected hard-to-heal wounds. Penetrates all wound irregularities to fill tunneling and undermining. Non-toxic and not systemically absorbed. Softens necrotic tissue to facilitate debridement. Maltodextrin NF DeRoyal Wound Dressings. Powder: 6, 12, 25 & 45 grams. Gel: 1/2, ½, & 3 ounces. Powder: tube, pack or vial. but Woundbegone.com product uses Oxygen, very expensive but it works. Multidex is great only for moisture low drainage wounds. Not Recommended and is very messy and sticky like honey.